You can make your own package with as many nights and rounds as you'd like or choose one below. Either way, just go to Quick Quote to choose your region, the courses you want to play and your dates. All quotes are based on two to a room and include golf, carts, lodging and taxes. Play Chautauqua Golf Club Hill Course and Lake Course and stay at either Chautauqua Suites or Comfort Inn Jamestown (both with breakfasts). $225 per person after September 2nd. Choose dates. Choose two courses from Radisson Greens, Beaver Meadows and Pompey Club. Stay two nights at the Red Mill Inn on the Erie Canal with breakfast at the Inn. $270 per person, beginning Sept. 5. Play Leatherstocking and Colgate University’s Seven Oaks OR Oneonta Country Club and stay two nights at the Best Western Inn & Suites Cooperstown, with full breakfast. $350 per person, beginning Sept. 5. Play any two courses and stay two nights at the Best Western Victor Inn & Suites, with full breakfasts at the hotel. Play Casperkill and either The Links at Union Vale or Mansion Ridge or Centennial. Stay two nights at the Quality Inn Fishkill with full hot breakfast. $325 per person, beginning Sept. 5. Play Whiteface Club & Resort and Saranac Inn Golf & Country Club and stay two nights at Art Devlin’s Olympic Motor Inn. $320 per person, beginning Oct. 1. 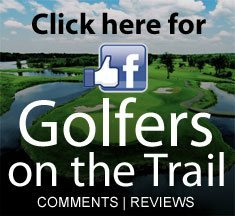 Play Seneca Hickory Stick Golf Club and Niagara Frontier Country Club. Stay two nights at the Lakeview Motel & Cottages. Play The Sagamore and Saratoga Spa. Stay two nights at the Holiday Inn or the Inn at Saratoga, both of which are located on Broadway. $340 per person, beginning Sept. 5.